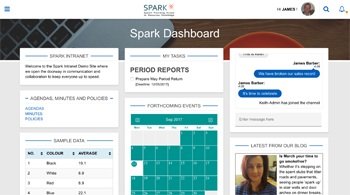 SPARK is a powerful, flexible, off-the-shelf intranet platform. 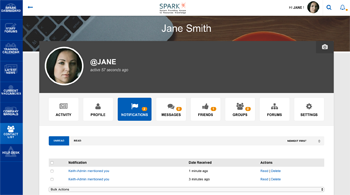 SPARK is social. Users can create profile to include contact details, skills, images, friends function, likes, commenting, a wall, messaging and notifications. Most of all, it is an incredibly easy to use publishing tool for web pages, blogs, social media, images, video and other media. As standard, it has the functionality you will need. Solutions have years of experience working on Intranets and Portals. Mostly, we have learnt that whilst every project is unique, they are some features that are common to them all. 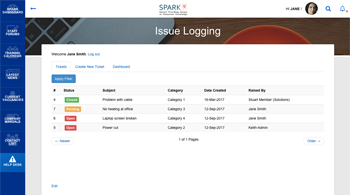 So we developed SPARK so that you get a “quick win” intranet solution customised to your exact needs. What we promise is that you’ll have a sensible, cost effective Intranet that works in the real world and that it’ll be delivered on time and within budget.